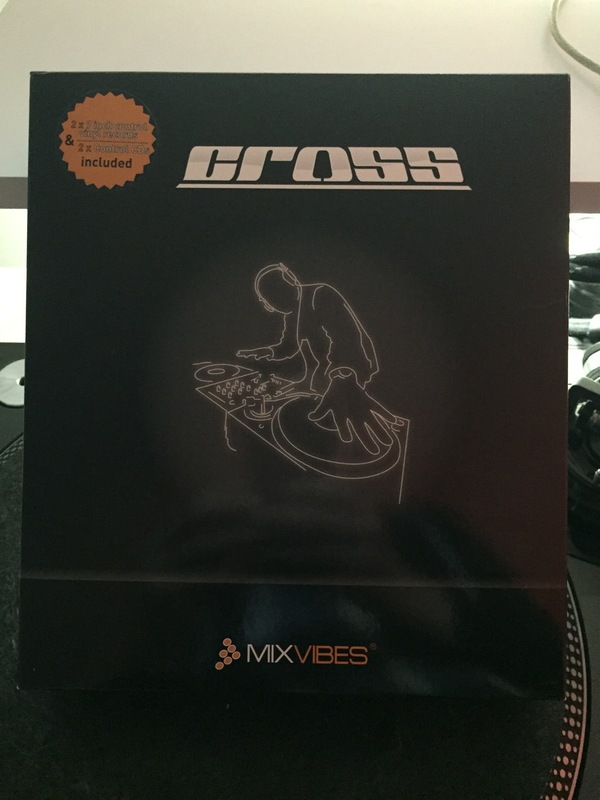 Cross, DJ Software from Mixvibes. 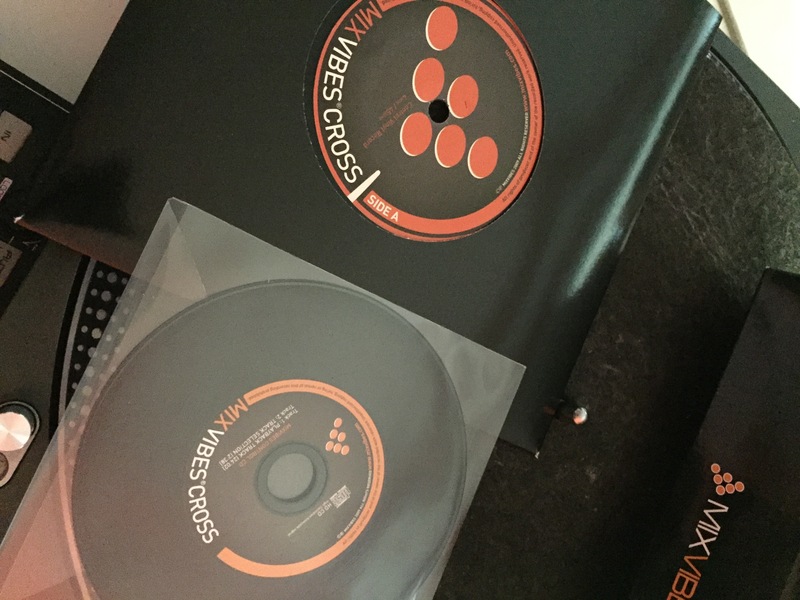 deejay will's review (This content has been automatically translated from French)" Good start but ..."
Chris Kazvon's review (This content has been automatically translated from French)" Just awesome"
I had the version of Cross DJ with u-mix control pro, and I wanted to go to timecode vinyl. As the u-mix can use his card, so I just update to the worse Cross (version 1.7 at the time) for 60 €. accepts all controllers, and most importantly, ALL the cards! No worries for the install, it is alone, everything is recognized. I made a tutorial (which can easily be found with the search function), the galley was first but then it just comes! config for my PC, it is in the first field. For configs, this is at the top, it works in timecode or only with a controller, and especially with the HID CDJ is HEAVY DUTY! You plug the USB Platoche, and two clicks on the CDJ you end up controlling Cross, 5min both drives are connected and you can mix! Just remember to download the ASIO driver can "merge" the two soundcards CDJ. 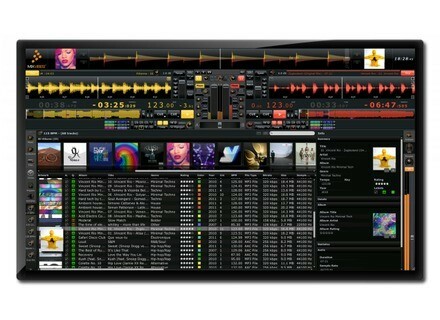 So I use it for 2 years now, I tried VDJ (yuck) and Traktor and Serato recently. I rechoisirais this app without hesitation! polomix's review (This content has been automatically translated from French)" a soft pro"
I bought CROSS to mix with timecode CD club. 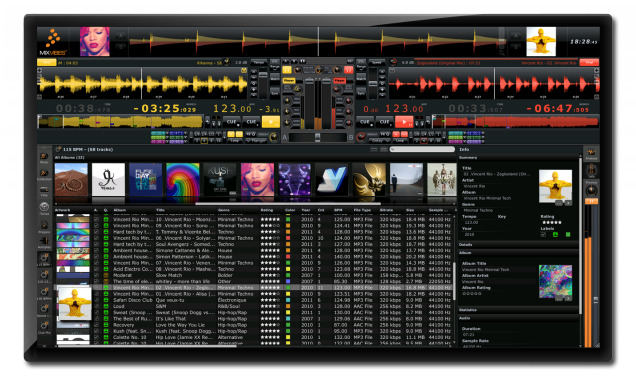 I preferred to Serato or Traktor interface for the proper management of the database onnée and also because it is a soft French. I play mainly on the material Pioneer club. 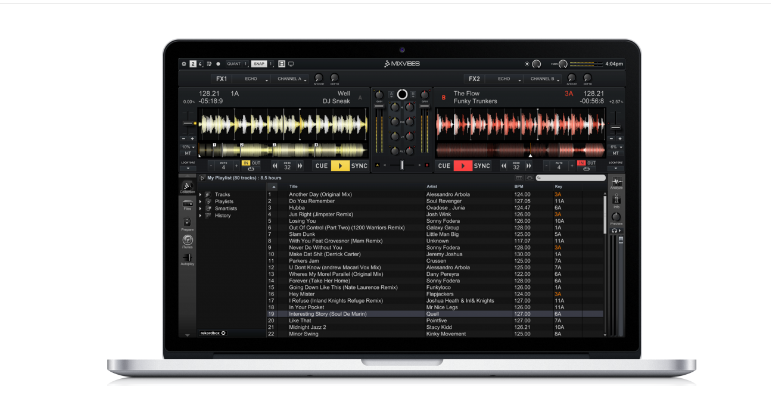 The new version that incorporates the HID can mix with just the computer that branch USB CDJ. All features are implemented on top. It is a pleasure. 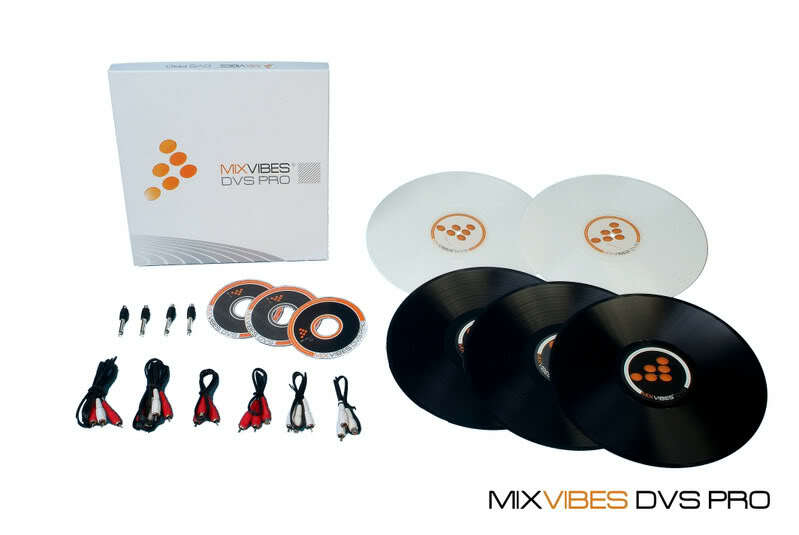 Mixvibes also developed Rekordbox (the soft base management given for Pioneer turntables). As a media management is particularly well managed CROSS. This is an app I would recommend to any kind of DJ beginner, amateur or professional especially if they use paltines Pioneer. Occyde's review (This content has been automatically translated from French)" Dejà not bad and there with version 2.1 is even better!" The ability to mix real vinyls and mp3 (in timecode or not), hit the vinyl, the carefully designed interface, price, quality of sound, free updates! That the competitors is not case! therefore not only a political standpoint business makes you want to switch to this app made in France more ... The gear: 2 Technics mk2 + 1 + 2 Ecler NUO 4.0 Kontrol Dj X1.Mix in Dj Set and Live in bars and clubs.Macbookpro: Mac osx lion, 8gb ram, 2.9 ghz and Asus W7 64 bit, 4GB ram, 2.2 ghz. See below dessus.Nickel no latency or other so universal bug.Integration twelve o'clock with my 2 kontrol x1 soucils not one with a physical control samplers perfect for turntables with similar config. I'm on this app since version 1.2.J have already tested Torq (well it works ...) and Traktor (top certe but more expensive, mixvibes pro ... I say that with more posibilities and enjoying better marketing ... especially snobbery ... probably a bit too) and other serato never touché.Bon for Mixvibes Cross, soft and very good with version 2.1 THIS IS THE TOP OF 2 players + 2 samplers of 8 tracks each, a dozen effects vraiments not bad for the most part, several locators and other cue points, loop up to 32 times, independent sample banks etc ... only downside there is no 4 outputs on the map original sound (U46MK2) after it is typed questions to gouts.Mixvibes strong with this update on a soft high quality at the base in the next versions I expect the worst I remake this choice without hesitation! MixVibes say that they have improved the design of their collection tool and the media management systems in Cross.